The Northamptonshire Police Department has placed the Corby Borough Council financial dealings under investigation. Police decided to probe after Conservative councillors gave findings of a suspicious audit report to authorities in July of 2013. Police explained that their inquiry was being conducted to determine if a crime had taken place. Norman Stronach said the council is co-operating with law enforcement to the fullest extent. 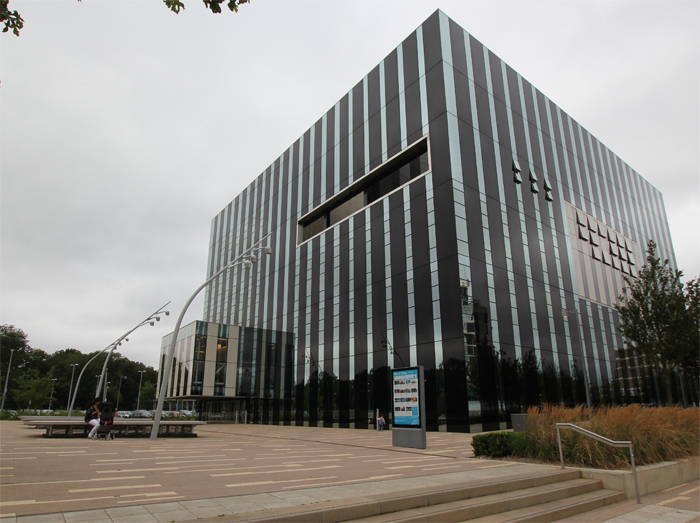 In the audit report, the council detailed four major projects, such as the Corby Cube, and the cost ranged from £35m to £47m. The report about the Corby Borough Council highlights numerous flaws about the finances and project management. Undoubtedly, areas of interest include the Cube civic offices, Rockingham Triangle sports complex, Kingswood estate and St. James land sale. In noticing these failures, the Labour Administration’s leader, Tom Beattie, stated that these failures were unacceptable. Meanwhile, Conservative opposition has demanded they give a public apology. Beattie continued in saying that while the people of Corby were let down, they should realize these mistakes are in the past. At the conclusion of these three construction projects, the company spent £67m over the course of six years. In addition, the land sale settlement gave £3.8m in revenue. Consultants of KPMG are saying that the land at St. James was sold for less than the best price. Because of this, KPMG realized the council potentially neglected their statutory obligations. Where did the Corby Council go wrong? Well, these projects were started with an unclear group of elected members. In addition, a culture where officers feared to question or draw attention to their practices led to sub-standard practices that fell short of the Corby Council’s integrity. Nevertheless, the Corby Council is addressing these issues. Robert McKellar, deputy leader of the Conservative Group, said that they handed the District Auditor’s report over to authorities after concerns about the number of findings appeared suspicious. They have trust that the police will carry out the actions to fully investigate the case. However, McKellar said that they cannot comment on the outcome at present. Nevertheless, they welcome an open investigation into the circumstances to assure that no crime has been committed. Conservative councillor Robert McKellar wrote to Mr Beatie and expressed his disappointment in Beattie’s refusal to take direct responsibility for the financial scandals. In the letter, he wrote that shrugging your shoulders and washing your hands of responsibility is unacceptable and that the taxpayers in Corby deserve better. He demanded that they acknowledge the collective responsibility the Labour Administration has for the four scandals. They squandered millions of pounds in taxpayer money. Furthermore, the Conservatives created a motion of no confidence in Mark Pengelly. Mark Pengelly is the Labour councillor in charge of the finances, and they accused him of being involved in the mismanagement of these four projects. In an interview with BBC, Pingelly told them he stepped down from responsibility as the Labour councillor, but he told them it was because of the high-stress nature of the job, rather than because of the opposition’s demands. Pingelly told BBC that he would consider the recommendations of the report at an open session in the next full council meeting. Despite the improvements, the council’s Conservative Group says these were basic safeguards, and they should have been implemented into action long before now. In a statement, they said that the council’s Labour Administration has shut the door after the horse left, and now they expect applause for it.